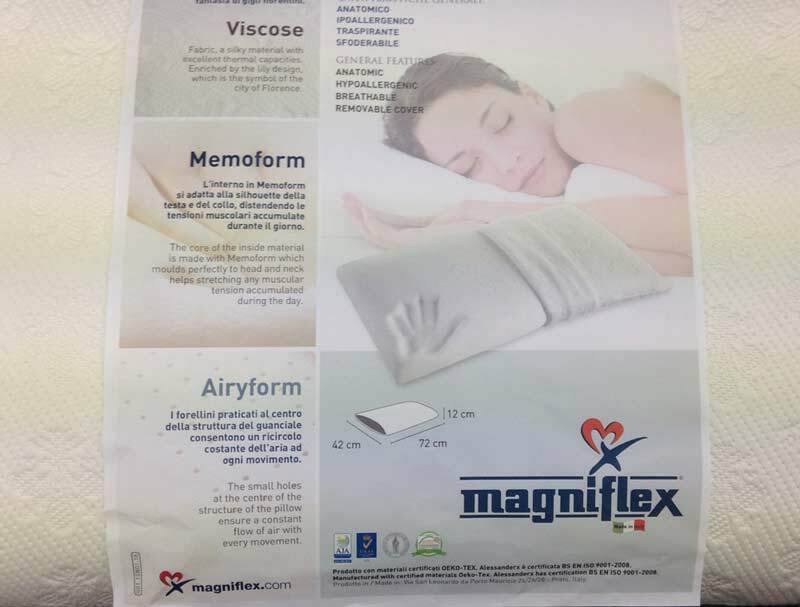 The Magniflex Classico pillow is a super soft large traditionally shaped memory foam pillow , made using a core of Memoform which perfectly shapes to your head and neck and helps stretching any muscular tension accumulated during the day. This traditional hypoallergenic shape pillow is covered in a soft knit stretch viscose cover that is removable for washing . 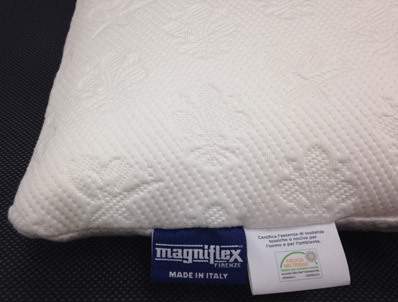 This pillow is also available without the standard cover but with a upgrade to a super cool feeling Outlast cover for a additional £10.